Welcome back to the Heaphy Track; 87 kms of Grade 3 back-country riding through the Kahurangi National Park and New Zealand’s West Coast. Best known as a ‘Great Walk,’ the Heaphy has been approved for a 3 year mountain bike trial that runs from May to September and trampers and riders alike have taken advantage of the extensive trial. 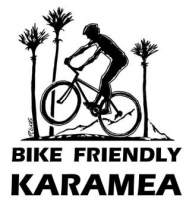 While fitness buffs will not get a better workout in Karamea, walkers themselves are picking up bikes to test themselves on the track, experienced riders are enjoying the technical sections, while casual riders are enjoying the vistas while cruising through the park. No matter how you choose to tackle the Heaphy, you will be left with a real sense of accomplishment and, as most trips end on the West Coast, you will find everything you need in Karamea to revive after the ride. Track News: Aside from fallen branches & rocks, scattered driftwood and the occasional seal, the track is open riding for large sections. 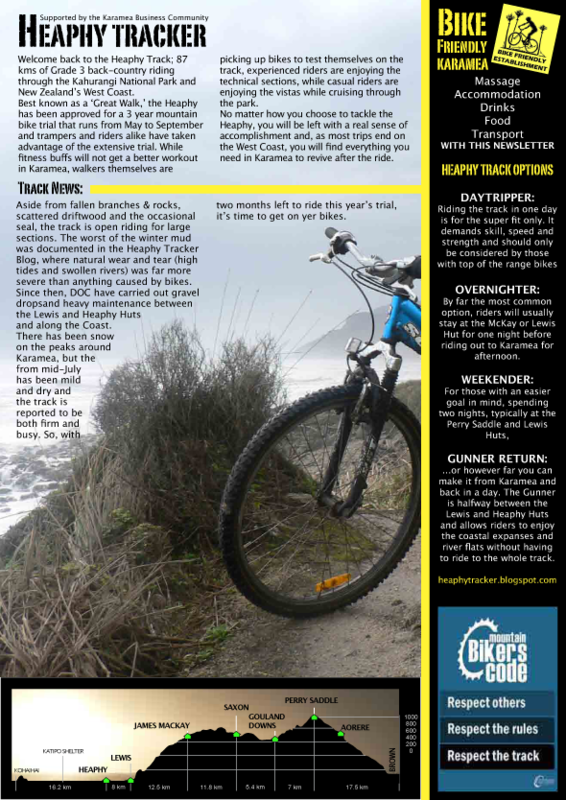 The worst of the winter mud was documented in the Heaphy Tracker Blog, where natural wear and tear (high tides and swollen rivers) was far more severe than anything caused by bikes. Since then, DOC have carried out gravel dropsand heavy maintenance between the Lewis and Heaphy Huts and along the Coast. There has been snow on the peaks around Karamea, but the from mid-July has been mild and dry and the track is reported to be both firm and busy. So, with two months left to ride this year’s trial, it’s time to get on yer bikes.